Yu-Gi-Oh! 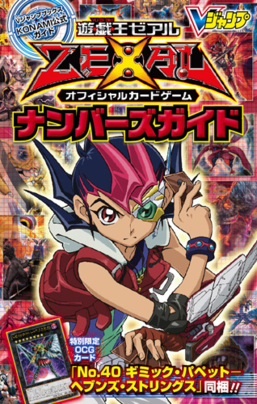 ZEXAL Official Card Game - Numbers Guide is a complete introduction to the super-important "Number" monsters of the show's story. Included is a card from the anime that debuts in the Official Card Game!! Included is the super high Rank Xyz Monster used by the formidable Duelist Quattro: "Number 40: Gimmick Puppet of Strings".